The Mesolithic in Europe was a period of great transitions both in terms of climate and of human geography. It represented a time between the end of the last Ice Age, known as the Paleolithic, around 11,600 years ago and the arrival of farming cultures from the Middle East some 9,000 years ago . The end of the Paleolithic, marked the beginning of the Holocene, a period of warmer temperatures that have lasted until the present day. Temperatures rose rapidly from 11,600 years ago, potentially up to pre-industrial levels by 9,000 years ago . All of this melting ice meant that the oceans swelled, and sea levels rose some 60 meters . The land bridge that once connected North America to Asia disappeared, and the English Channel was formed over land where once hunter-gatherers could freely walk between what is now England and France. The people of the Mesolithic were the direct descendants of ice age populations and maintained a hunter-gatherer way of life. Not only did these societies have to cope with large shifts in sea levels but also rapidly expanding forests . Where once there was open tundra, there were now vast tracts of woodland, covering large parts of Europe. The transition to forest environments brought major changes in available game, from mammoth, steppe bison, and reindeer to elk, beaver, and bear . The people living in these environments began forming larger groups and without the open plains of the Paleolithic to wander, they began constructing permanent buildings [6-7]. Genetic analysis has shown that the Mesolithic was quite different from the preceding Paleolithic. During the Paleolithic, human hunter-gatherer bands lived in small groups that moved across large tracts of land and were constantly changing where they lived as the ice sheets expanded and contracted. This meant that ice age Europeans were genetically very similar across much of the continent . After the ice sheets melted two distinct genetic regions appeared which are known to geneticists as Western Hunter Gatherers and Eastern Hunter Gatherers. These two lineages roughly follow an east-west divide as their name suggests, although Western Hunter Gatherers extend as far east as the Balkans in Southern Europe [18-19]. These two groups may have been the result of population expansion from two small groups of paleolithic hunter-gatherers. 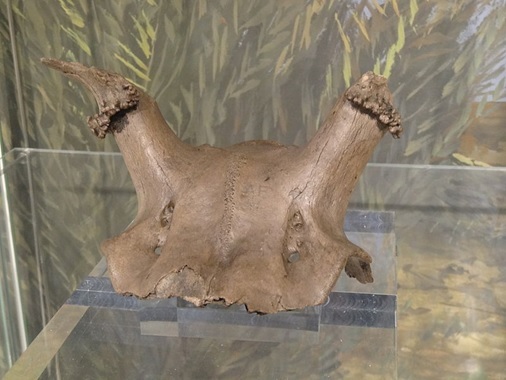 Many of the Mesolithic samples found across Europe show that they were mixtures of both Eastern and Western Hunter Gatherers, rather than one or the other. The mitochondrial haplogroups of Mesolithic hunter-gatherers have often been found to be different than the Paleolithic people that preceded them. In the sample of 110 individuals used in our dataset here, mitochondrial haplogroup U was still very common and had been the dominant haplogroup in the Paleolithic , but a few examples of haplogroup K have been found which is thought to have originated in the Middle East and may have arrived with migration coming from the East . Likewise, Y chromosome diversity increased. Many males belonged to haplogroup I, which was the most common in the paleolithic , while some individuals have been found to belong to haplogroups J and F, which were more commonly associated with West and Central Asia [22-23]. Haplogroup R1b was known to exist in Europe during the Paleolithic but appears more commonly after the start of the Mesolithic . Bailey G, Spikins P. 2008. Mesolithic Europe, Cambridge University Press: Cambridge. Forsten A. 1972 The refuse fauna of Mesolithic Suomusjarvi period in Finland. Finskt Museum 79: 74-85. Zvelibil M. 1978. Settlement and subsistence in northeastern Europe. In The early postglacial settlement of Europe, edited by P. Mellers, pp. 205-242. Duckworth, London. O’Shea J, Zvelebil M. 1984 Oleneostrovski mogilnik: reconstructing the social and economic organization of prehistoric foragers in northern Russia. Journal of Anthropological Archaeology 3:1-40. Álvarez-Fernández E. 2011. Humans and marine resource interaction reappraised: Archaeofauna remains during the late Pleistocene and Holocene in Cantabrian Spain. Journal of Anthropological Archaeology 30: 327-343. Guy Straus L, González Morales MR, Ángel Fano Martı́nez M, Paz Garcı́a-Gelabert M. 2002. Last Glacial Human Settlement in Eastern Cantabria (Northern Spain). Journal of Archaeological Science 29: 1403-1414. Larsson M. 1992. 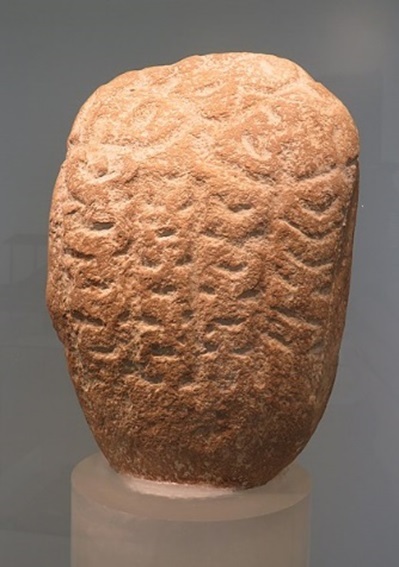 The early and middle Neolithic funnel beaker culture in the Ystad area (Southern Scania): economic and social change, 3100–2300 BC. In Larsson L, Callmer J, Stjernquist B. (eds. ), The Archaeology of the Cultural Landscape, Acta Archaeologica Lundensia, Series in 40, Nr.19, Almqvist and Wiksell International: Stockholm. pp. 17-90. Mittnik A. 2017. The Genetic History of Northern Europe. bioRxiv 10.1101/113241. Mathieson I, et al. 2015. Genome-wide patterns of selection in 230 ancient Eurasians. Nature 528: 499–503. Núñez C, Baeta M, Cardoso S, Palencia-Madrid L, García-Romero N, Llanos A, de Pancorbo MM. 2016. Mitochondrial DNA Reveals the Trace of the Ancient Settlers of a Violently Devastated Late Bronze and Iron Ages Village PLoS One11: e0155342. Karafet, T, et al. 2008. New binary polymorphisms reshape and increase resolution of the human Y chromosomal haplogroup tree. Genome Research. 18: 830–838.